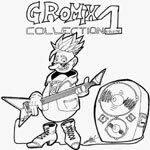 This page contains video-game music remixes (covers) that we arranged and recorded at home, focusing on live-played electric guitars and rock sounds. 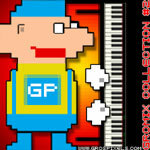 This project started in 2003, wich makes Grospixels one of the oldest teams on the video game remix scene. Files are in the mp3 format, and gathered in CD-length compilations. 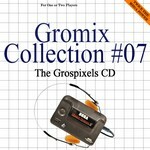 We also provide two different CD-cover per compilation, also made by Grospixels team members. Most recent remixes are located in the upper part of the page. 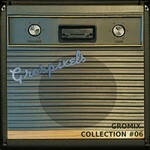 Gromixes are uploaded in mp3, 128kbps, 192kbps or 320kbps. 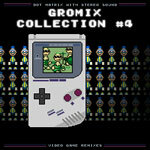 All those remixes are free, please tell your friends about them. 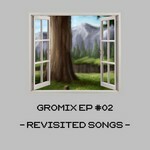 This project started in 2003, wich makes Grospixels one of the oldest team on the video game remix scene. On the oldest songs the production is quite weak due to the quality of the home-studio equipment available at that time. But on recent songs, it gets better and better. Our present recordings have a much better sound than some of the oldest ones due to the (good) home studio hardware and software being much more affordable these days. Having considered this fact, we decided to make a short series of songs we've already covered in the first three albums. Apart from some solos, everything have been re-recorded and the songs are now a bit longer. Songs made from january 2018 onwards. This album starts a new album series : compilations of limited length (about 30mn) where all the songs are chosen for the same reason. 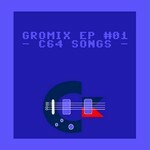 For this first EP, the topic is the Commodore 64. The games and musics featured here are not necessarily exclusive to this computer, but each song is based upon the SID version of the original theme. Recordings made from january 2015 to november 2017. This compilation approaches the music of some very recent games, but retro-gamers can be assured that the 8-bits and 16-bits era are also well documented here with a lot of japanese and occidental titles. 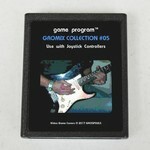 The songs in this collection have been recorded by Laurent as a solo project, playing bass, guitars, and producing. Not the whole team. Everything's been done at a fast pace, in less than six month, early 2015. These are guitar-only arrangements. The sounds and mixing or mastering parameters are the same on every song to make the album more cohesive. The team now uses a wide-spread home studio setup. Songs were produced over a very long period, they are better mixed and the mastering allows a louder volume. Apart from the drums, everything is played live, including bass guitar on some songs since Wild_Cat joined in. This is the last compilation made with the original home studio setup, wich is pushed to its limits. It's also more of a collaborative work between members of the team. 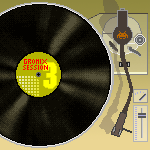 Here, the songs are produced the same way as in the first compilation, but less rushed. JC's arrival allows some live-played keyboard parts, and Laurent is more present on guitar. This compilation regroups our very first recordings, made between 1999 and 2003, sometimes very quickly, with a very limited mixing setup. Drums and keyboards are programmed, but guitars are played live. The songs mainly feature Ozzy.